Philip Glass has made an immense and stylistically wide-ranging contribution to piano repertoire. The Orph�e Suite, a transcription of excerpts from the first opera in Glass� Cocteau Trilogy, is one of his most distinctive piano pieces, blending virtuosity and melodic richness. In contrast, the hypnotic How Now is structurally influenced by Indian ragas and gamelan music, whilst Dreaming Awake contains one of the most powerful climaxes in all Glass� works. 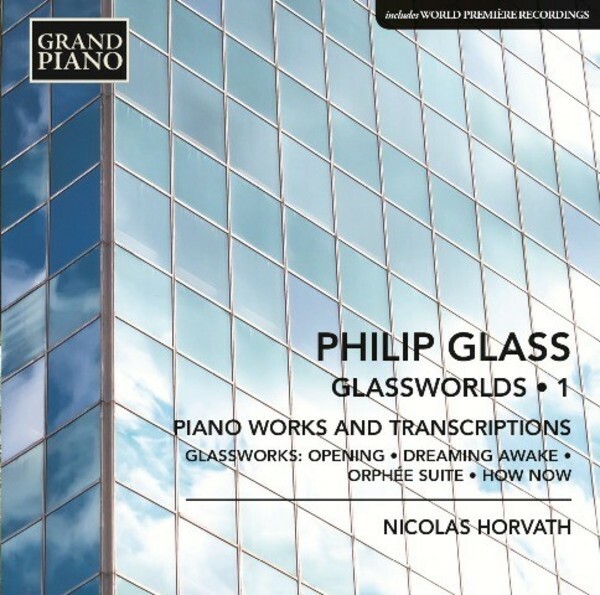 Performed by Nicolas Horvath, a Scriabin Competition first prize winner, this is the first release in the complete Glass solo piano edition which will include many premi�res. Recognized as a leading interpreter of Liszt�s music, Nicolas Horvath has in recent years become one of the most sought after pianists of his generation. Holder of a number of awards, including First Prize of the Scriabin and the Luigi Nono International Competitions, he frequently organizes events and concerts of unusual length, sometimes over twelve hours, such as Philip Glass� complete piano music or Erik Satie�s Vexations, and composers from a number of countries have written for him. Nicolas Horvath is a Steinway artist.